Add the stunning Albrecht Bracers to any medieval armour ensemble for an authentic look. 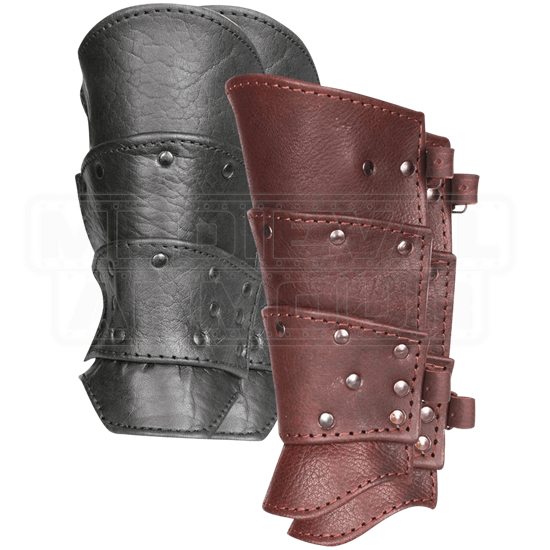 Made of naturally colored leather, these high-quality arm bracers feature a layered construction with grommets detailing the segments. These historic arm guards are attached with adjustable straps and buckles, giving these pieces a customizable fit. 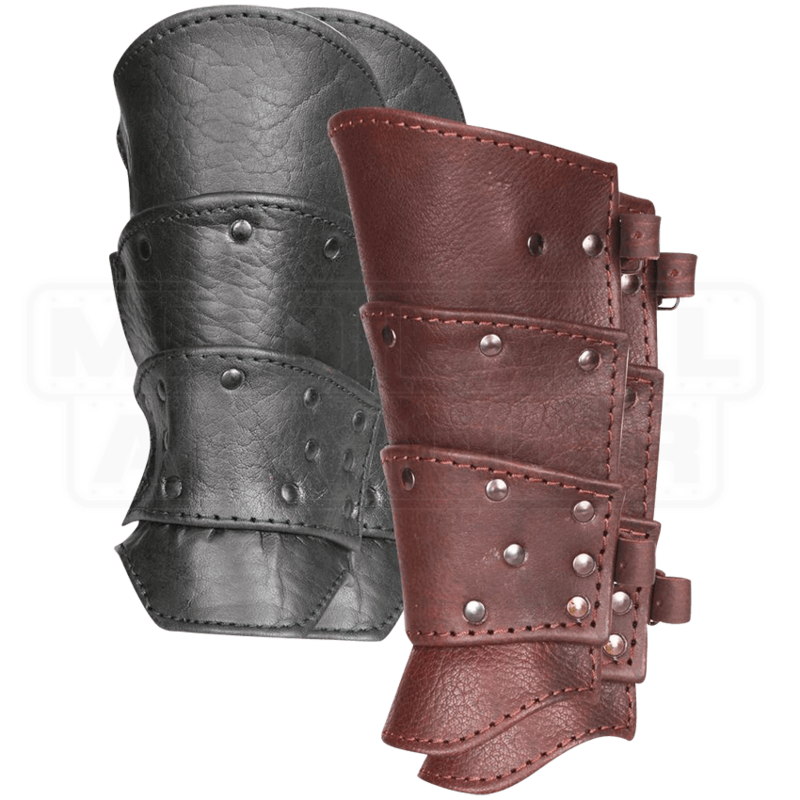 Wear the Albrecht Bracers as part of any historical reenactment look or let them complete any set of leather armour.